With CAA going on, there is what my 7th grade science teacher, Mrs. Walden, would’ve called a “cognitive overload.” (Mrs. Walden also reprimanded me several times for having in-class conversations with the person behind me. I sat in the last row. Let that sink in for a moment.) Maybe it’s me; maybe it’s her. The point is, there’s a lot of pies to dig your hands into. But in the mix of trying to wrangle all these goodies in, it’s easy to lose sight of some of the most local, relevant, and overlooked art spaces. Columbia College Chicago’s Museum of Contemporary Photography is currently exhibiting Archive State (Jan 21—Apr 6), and is a definite must-catch. 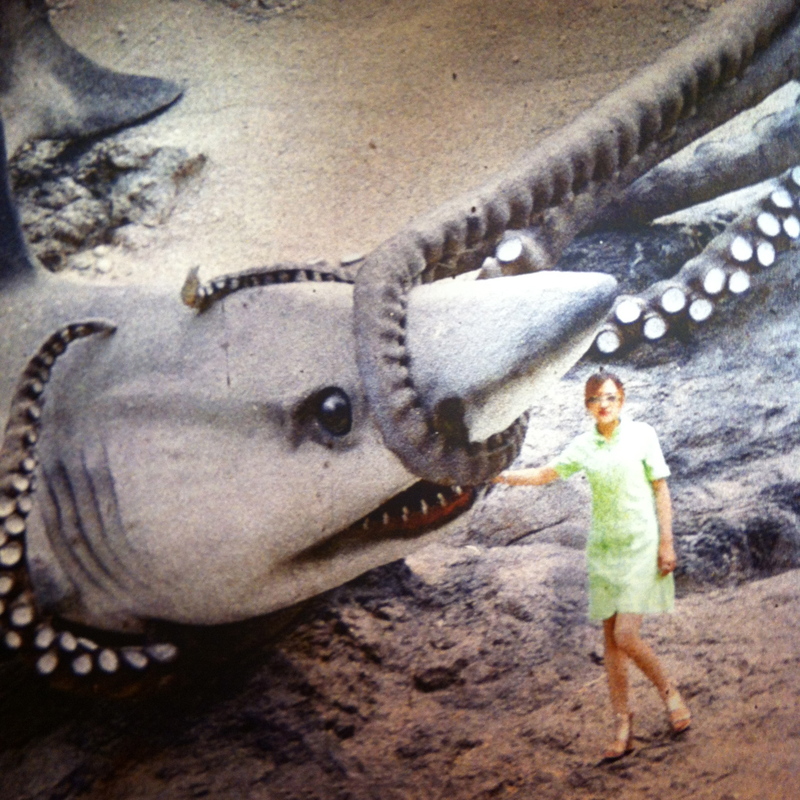 Although a bit overwhelming on initial entry, with the intentional smattering of framed photos on a Tropicana orange wall and the full north wall plastered with a young woman posing with her hand on the snout of a gigantic shark, the show, once you gain your bearings, is beautifully curated, complicated, and cohesive. Artists Arianna Arcara and Luca Santese, Simon Menner, David Oresick, Thomas Sauvin, and Akram Zaatari form a show that is visually striking and engaging, on one hand, and still manages to problematize various considerations of artistic ownership, authorship, and intentionally, on the other. 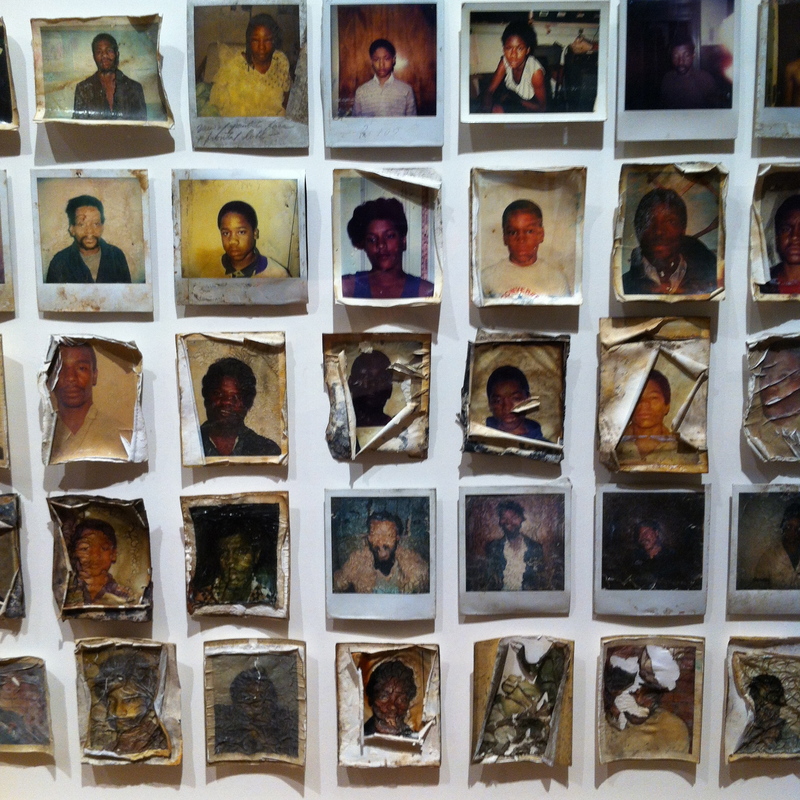 The show is curated by the MoCP Executive Director, Natasha Egan. These artists all use found and appropriated images and videos to explore the various social, political, and economic implications of place, space, and history. 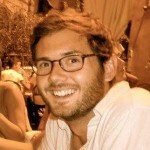 Thomas Sauvin, for example, and who CAA photo blogger Courtney Crawford recommends, has collected and altered photos from a recycling center in Beijing. 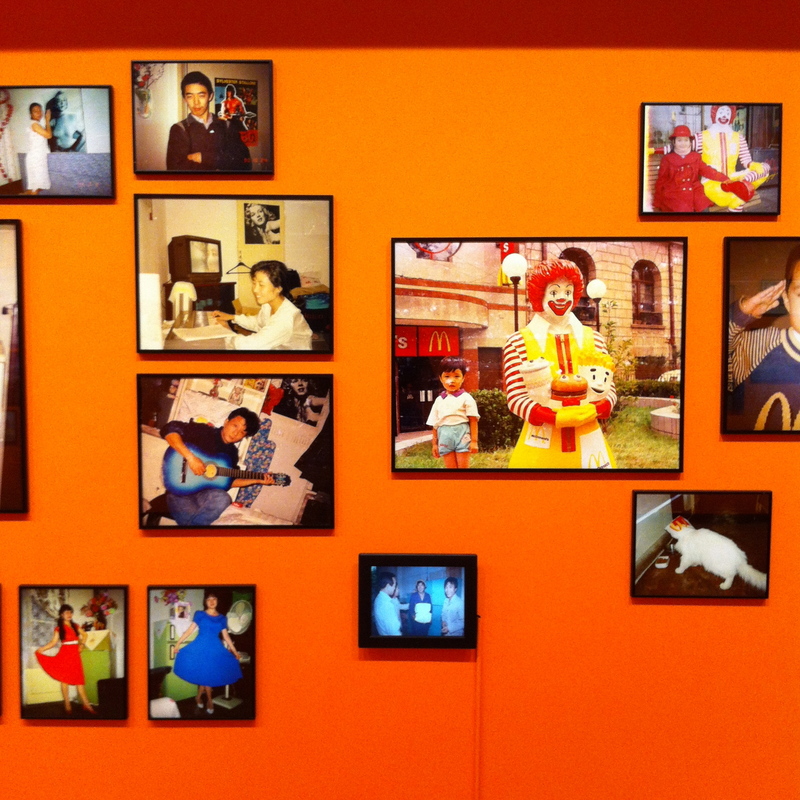 The work hints a considerations of nostalgia, domesticity, and family photo albums with portraits with Ronald McDonald and various charming and ingenuous domestic poses alongside TVs, refrigerators, or Rambo posters. It’s the stuff that dreams are made of in hipster kitsch stores, because there’s an honesty in this collection that is hard to project, I don’t care how urban or outfitted you are. 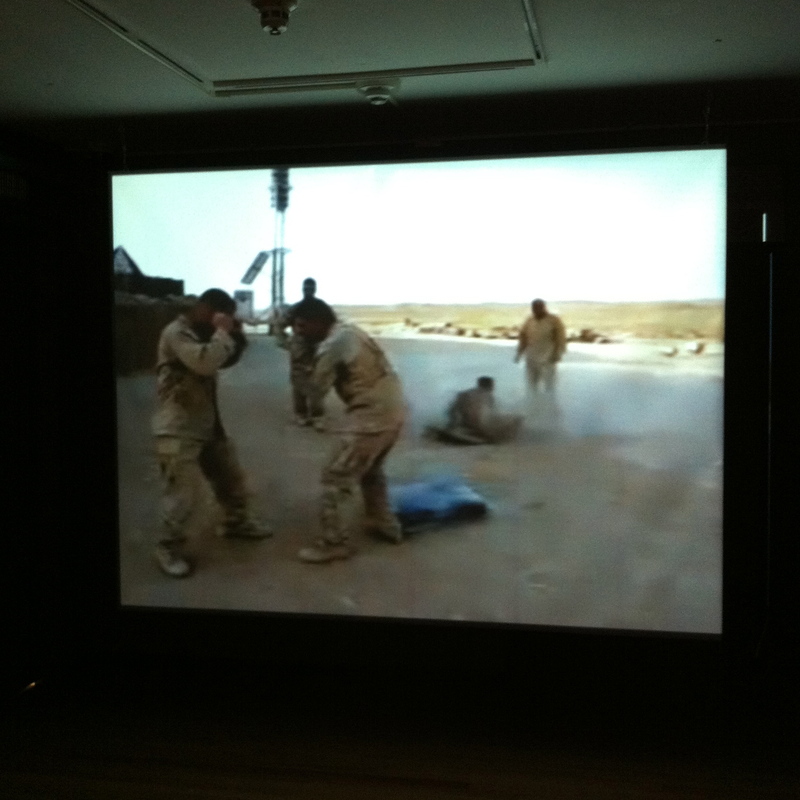 David Oresick’s work, for example, is a long compilation of YouTube videos from soldiers deployed to Iraq spliced with harsh white screens. Some clips are soldiers’ love letters, some are pranksterisms, some are incidences of violence reminiscent of both the Abu Ghraib images and Viennese Actionist films; but all of them complicate issues of both empathy and the complicity in occupational violence. These images of American soldiers ignite conversations about surveillance, the invasion of privacy, and the raw conditions of war. All these works speak to the contemporary practices of appropriation, decay, and the documentary aspect of art-as-curation. Be sure to check out the exhibit, just across the street from the convention center. The MoCP (600 S. Michigan Ave.) is hosting an Exhibition Reception later today, Thursday, February 13th, from 5-7pm. The museum is free and open to the public Mon-Sat, 10am-5pm.